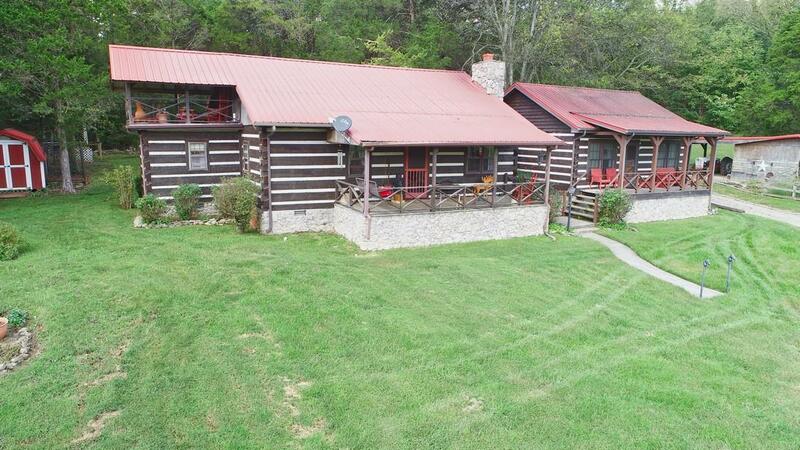 The perfect mini farm w/ over 10 acres w/ fenced pasture, stables, run-in shelters & beautiful log home w/ 2,100 sq. liv. ft. Home features 3 BR, 2 baths, 2 kitchens, loft area, covered front porch, screened & glassed back porch & screened balcony.